At last I can reveal the winner of the exciting The Phoenix Code World Book Day art competition. The challenge was to draw a picture in ancient Egytpian style, inspired by The Phoenix Code - the first of Cleo and Ryan's adventures in the Secrets of the Tombs series. We received lots of fantastic entries. I was so impressed by the creativity and hard work that went into each picture. They were all so good that I wanted to give everyone a prize. 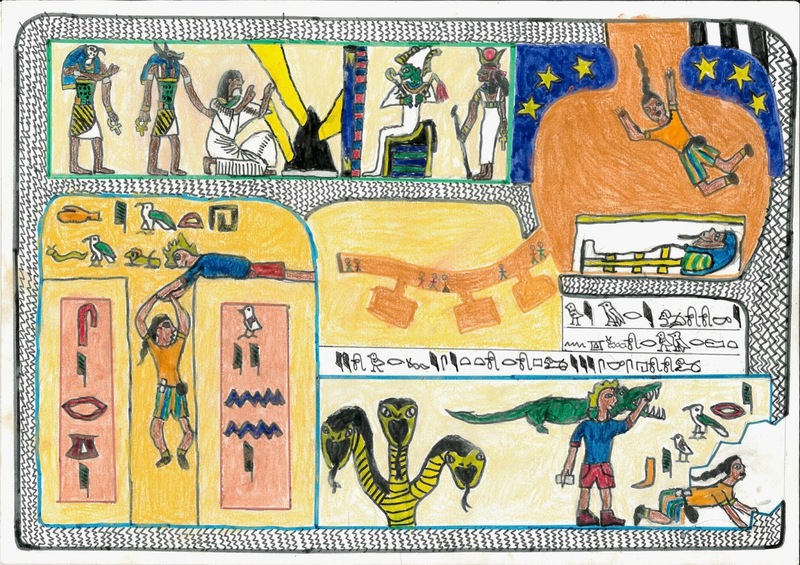 But in the end there was one picture that stood out; it had everything - an original, attractive overall design, an ancient Egyptian style with a modern twist, exceptional attention to detail, clever use of scenes and themes from the book, and even the inclusion of names and messages written in hieroglyphs. So . . . the winner is . . . drum roll please . . . .
design was wonderful, but it's now been simplified so that I can maintain it myself and keep it up to date more easily. There is still an area for the Special Investigations Team but there is no longer any need to register and sign up with confirmation by a parent and so on. Now all you have to do is answer Emily's test questions and work out the password, which you then use to access the hidden S.I.T. area - where you'll find games, puzzles, quizzes and a downloadable certificate. 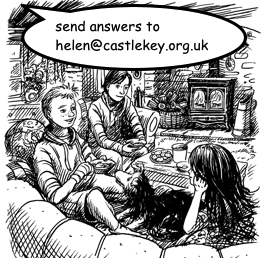 There's lots of other information on the Adventure Island website too - including Emily, Jack, Scott and Drift's blogs and a reader page where you can send in your comments and questions. To celebrate the new-look site how about a mini-competition? The first three people to e-mail me and tell me the password they have figured out for the S.I.T. page will win a signed copy of an Adventure Island book . . .
bursting point with ideas in the in brilliant bookish bonanza that is World Book Day. I spent Tuesday at the wonderful Southbank International School in Hampstead. In the morning I was with Grade 5 talking about the delights of writing about treasure - lost, found, and fought over.